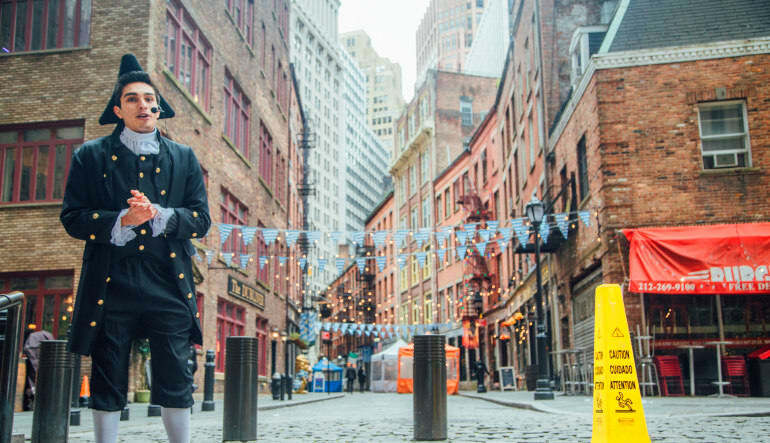 Travel through time as you walk the modern streets of New York on this theatrical walking tour! One of America’s oldest cities, New York City has a thousand stories to tell of its vibrant history. Travel through time as you walk the modern streets of New York City on this theatrical walking tour! 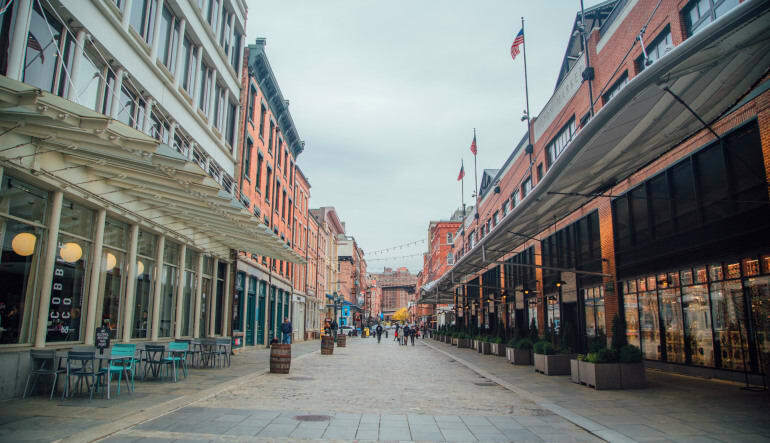 One of America’s oldest cities, New York City has a thousand stories to tell of its vibrant history and pivotal role in the shaping of the nation. 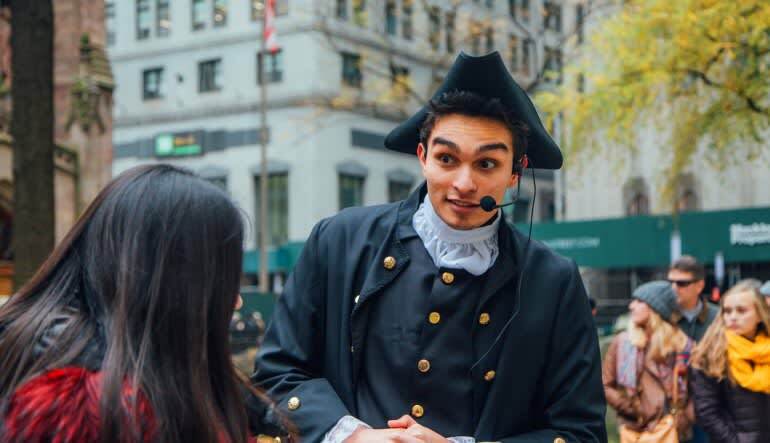 Lead by era costumed guides, you’ll hear those tales as you stroll the streets of Manhattan’s most famous neighborhoods. This NYC walking tour even gives you the chance to explore on your own! At two points throughout the walk, you’ll have the opportunity to break away from the group to eat, shop, or visit a neighborhood attraction before rejoining the next group. 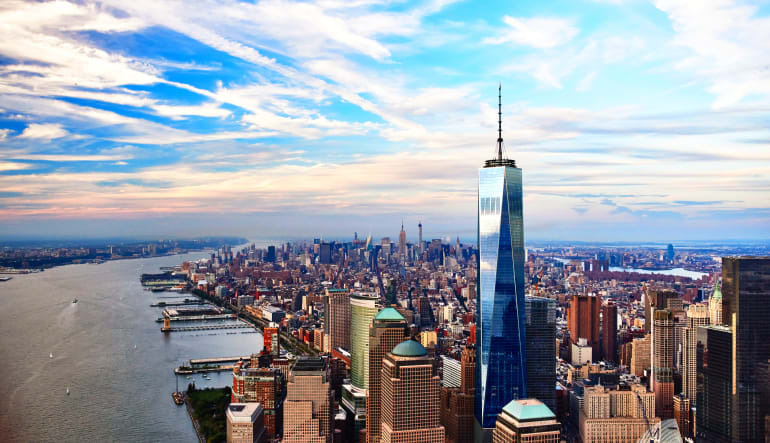 On top of all that, you’ll also have a chance to visit Oculus, the observatory of One World Trade. Here, you’ll learn the story of the building itself as well as what it has come to mean to NYC and the world overall. From the moment you step into the lobby and onto the sky pod elevators, you’ll be immersed in the splendor and significance of One World Trade.